We are a socially-conscious family. D spent many years as the Operation Manager at Winnipeg Harvest, Daughter #1 works for one of the Canada’s largest disaster relief organizations, Daughter # 2 is studying International Development and has travelled to El Salvador and South Africa to work on specific children’s initiatives. Son #1 and Daughter (in law) #3 travelled to the Phillipine’s together to serve as Midwife and Pediatric Medic. And me, well as my readers know, I volunteer each week as a baby hugger at the local children’s hospital. 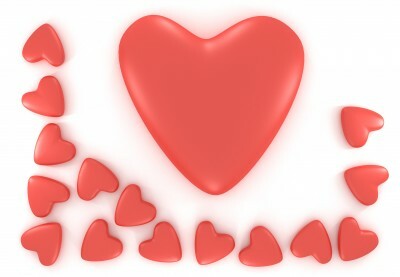 Our kids know that it is cool to care. They have taught us, even more so than we have taught them, that we can all find our place to create long-lasting global change. We strive each day to associate ourselves with like-hearted organizations who put their actions (and money) where their mouths are and that is one of many reasons why we are so proud to be alumni of the Keg family of restaurants. Over the last 10 years the Keg Spirit Foundation has raised over 5.5 million to support more than 300 local charities helping youth in need. Until November 27, 2011 The Keg is featuring a special menu, whereby $2 for each entree served is donated to the Foundation. We recently dined and enjoyed the Deluxe Chicken which was served on a bed of goat’s cheese cream sauce and topped with crumbled goat cheese- a delicious way to support a wonderful cause. The Keg Steakhouse & Bar is a sponsor of We Days across the country (Toronto, Vancouver, Montreal and Winnipeg) and The Keg Spirit Foundation supports the We Schools in Action program. This program operates in classrooms across the country. Each classroom is encouraged to take on a local and an international initiative, and raise both funds and awareness. On November 23, 2011 thousands of Winnipeg students are invited to attend We Day at the MTS Centre to learn about some of the most pressing social issues of the day and that they are not alone to make a difference. 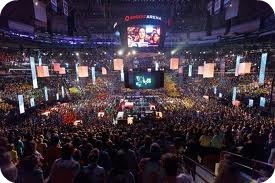 We Day, is the largest youth empowerment event of its kind and is put on by the Free The Children charity. Co-founders Craig & Marc Kielburger have assembled an amazing line up of world-renown social activists to inspire and ignite the passion of young people gathered at We Day. We can all make a difference. End apathy. It is cool to care.